Manufactured here in the UK and made from a new generation of synthetic paper, our plastic business card material is waterproof and impossible to tear, that's why we decided to name it Immortal! If you work outdoors, our plastic card is perfect for you. We put them to the test and found that they are practically indestructible. However, please note that Immortal is synthetic paper and thus is quite flexible. It should not be confused with "credit card" thickness. Items typically get delivered in 5 to 7 working days. Our team are here to create your artwork for you. Plastic prices exclude VAT at 20.0%. Prices are in British Pounds (GBP). Click here for International Delivery. I'm not one for writing reviews but I just had to after some great customer service. 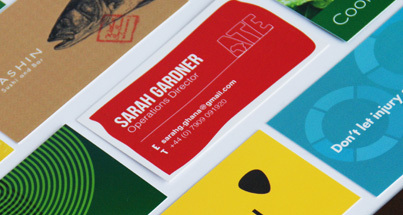 The business cards I ordered are brilliant and great quality, and they were received in very short time. When I emailed with queries they got back to me promptly. Great company, will use again. Push your plastic business card to the limit! To make them even more unique you can add your business information to the back and front (double sided) as well as up the ante on the look and feel of your plastic business cards by having rounded corners. Take a look through the designs and templates we have below or upload your own artwork and leave the rest to us! For outdoor businesses, and companies who operate in the elements, take comfort in the fact that your business card is not afraid of a little weather. 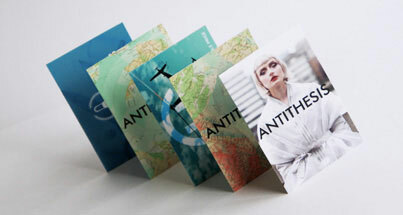 Our synthetic business card material will not smudge or be affected by moisture in any way. Not many business cards are truly made to last. The material we use for our plastic business cards cannot be torn by human hands. Visiting cards can take quite a buffeting on their journey, so by selecting a super strong material for your cards, you guarantee that they look as presentable as possible at all times.